"Be warned: According to readers, if you serve this delectable treat as a birthday cake, you'll be starting a tradition. One that's going to be tough to break." 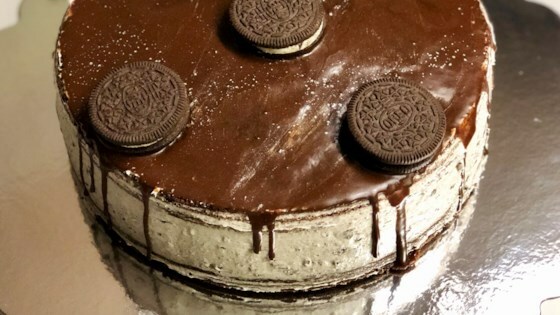 This great-tasting cake looks like a giant OREO Cookie. If chocolate glaze becomes too thick, microwave on HIGH 20 to 30 sec. or until of desired consistency. Enjoy a serving of this indulgent cake on occasion, but keep portion size in mind. One cake makes enough for 16 servings. This looked cool but it was just OK. I thought the middle filling was too rich & sweet. I am a beginner when it comes to baking and I was thrilled with this cake! It looked like I had slaved for hours and was very yummy too. Who doesnt love Oreos?